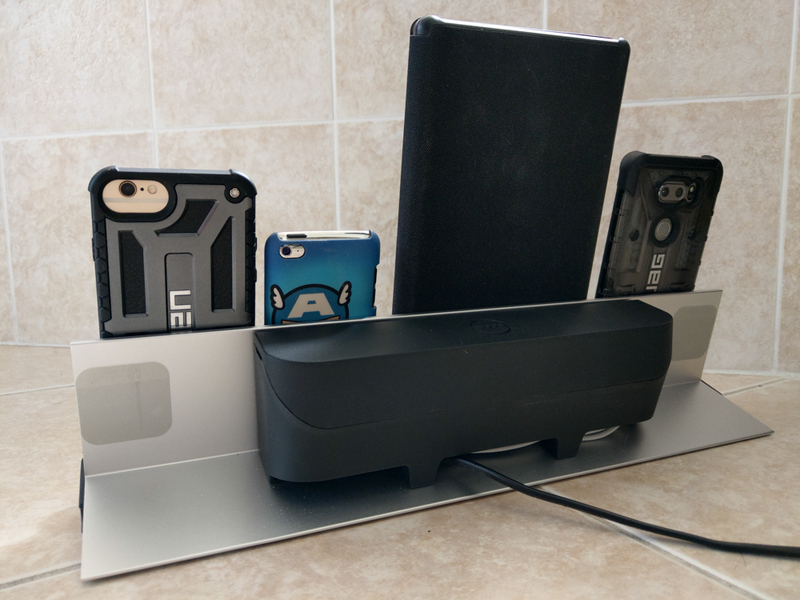 When you have as many devices as I do, especially if you use them daily, it can be a real pain trying to charge them. You have to deal with a bunch of cables everywhere and the mess that can bring to your charging area. 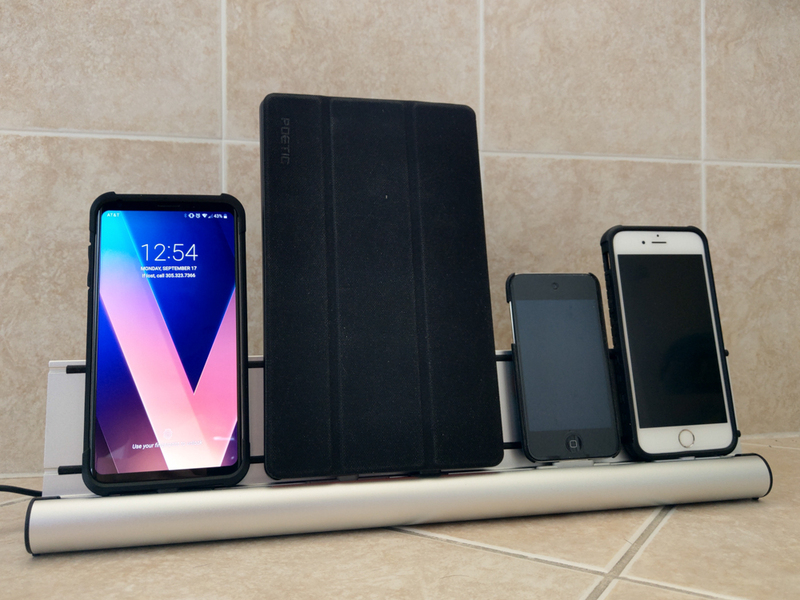 Not only that, trying to find the room to charge all your devices can also be a real life game of Tetris so when I was asked to check out the udoq, a universal style charging dock for pretty much any device you can throw at it, I said why not. I could always use more organization in my life. With that said, udoq sent me over their udoq 400 featuring one of each type of charging cable they carry so that I could really see that it does charge pretty much anything. Note that you do not have to get the kit like this. udoq makes kits depending on what devices you have as well as different sized docks for however many devices you have. There’s a udoq 250, 400, 550, and 700. Cables can come as Lightning, USB-C, Minro-USB, and old school Apple 30-pin connector. If you have any other connectors besides those however, you’re out of luck. I highly recommend using the configurator on their site to determine exactly what size udoq you need and which cables you’ll need for your devices. Of course they do have pre-made kits too if that’s all you need. The udoq itself is mainly made of a solid piece of aluminum with some plastic and rubber accents. The main feature of the udoq however is the rail system. The cables that you use aren’t just loose like they are with other docking systems. Instead, the cables ends are attached to a plastic connector piece that slides into the rail of the udoq. This keeps the charging end secure and in place and also allows you to slide it back and forth along the rail. The cables feed through the rail and out the back through a hole. With the kit I was sent, it came with the optional Cable Box S that attaches to the rear and allows you to house the cables just make things look a bit cleaner. 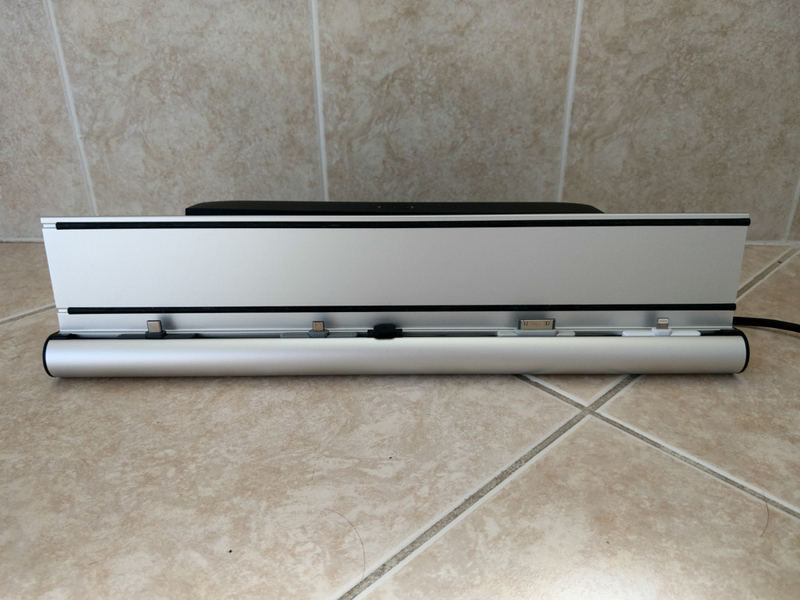 The kit also came with the optional 5-port charging hub that can also be hidden in the Cable Box S to further clean up the look of the dock. So instead of like whatever number of cables coming out of it and into different charging blocks, you only need to plug the cables into the hub and then only have 1 cable coming out and into an outlet. Also, the 5-port charging hub has 1 Quick Charge 3.0 port and 4-50 watts 2.4 amp ports. For the most part, setup is very simple. You just place the cables in the order you want them to be in and then spread them out to accommodate your devices. Run the rest of the cables through the back and if you have the Cable Box S, just tuck all the cables in there along with the 5-port hub and close it. When set up like this, there will just be a power cable coming out the back that you plug in. 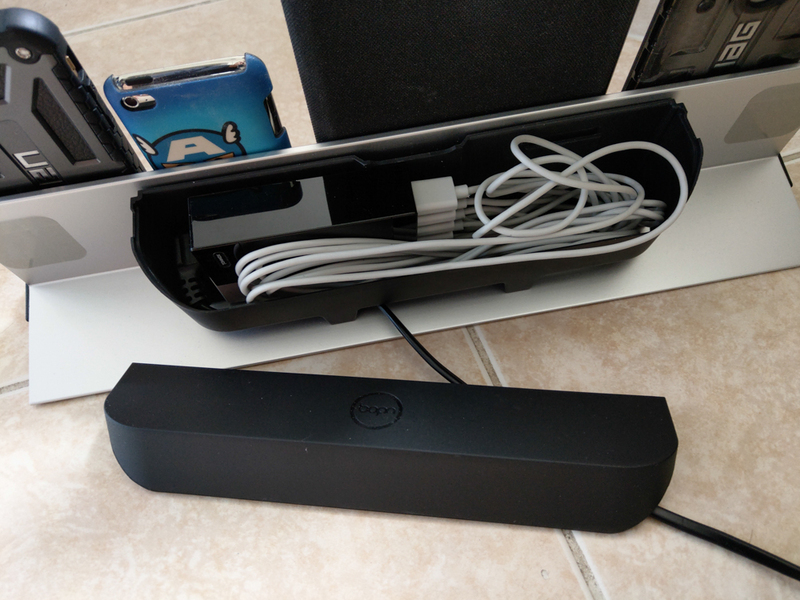 Overall, I’m really digging the udoq as a central charging station for all my mobile devices. While there are a couple of cables I’d probably switch out on this kit that they sent to me, the good thing about the udoq is that it isn’t really specific to any type of devices. 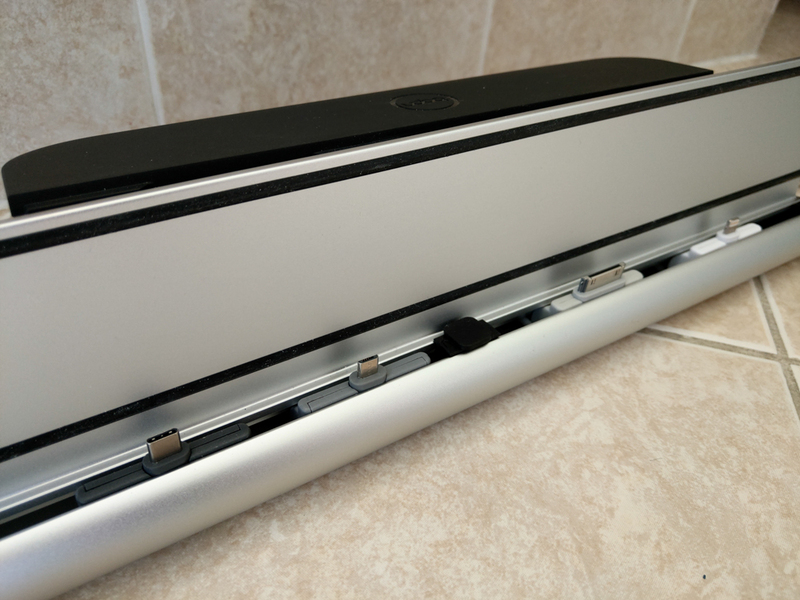 It’s not like an Apple dock that only works with Apple products for instance. If I ever swap mobile devices that happens to use a different cable then what I got, I just have to buy the corresponding cable for it and not an entirely new dock. Also I suggest that you buy a udoq that’s maybe one device more than what you really need just so you have that extra space in case you add any new devices. 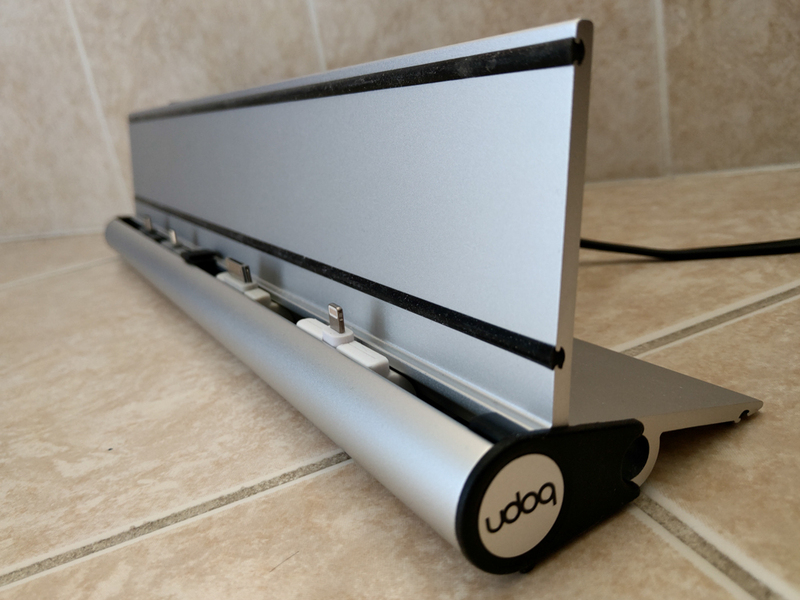 With that said, if you’re looking for a universal docking station that can accommodate a wide range of devices and can grow with you over the years, I highly suggest the udoq and its many configurations.